A couple years ago, I took photos of a den and kitchen redesign that I just finished. I posted here, and was feeling pretty good about it until one of my readers wrote in and told me that it was a pretty room except for the switch plates so obviously sticking out! GASP! Much better. It was a fun project to play with, but I do not think I would go around the house covering all plates. What do you do with your plate covers? Is it an issue with you? Have a wonderful weekend my friends! If you need decorating help in your home, contact me today! When looking online and in newspapers at home listings, have you ever noticed the number of homes that still have outdated window treatments? If you are serious about selling your home, be sure to take a look at your windows. If you do not have custom-made window treatments that are less than eight years old, it is time to take them down. Even though it’s difficult to separate your emotions, try to remember that when you are selling your home, it needs to be as neutral as possible. Since each person’s home style is so different, try to make your home a ‘blank canvas’ so a potential buyer can really see themselves in your home. You have to remember your good taste might not be someone else’s good taste. What are “outdated window treatments”? I am not referring to privacy blinds, but those swags and panels you have covering your windows that have been there since the 1990’s. And those panels that do not come all the way to the floor? They need to be taken down. I cannot tell you how many times on a staging consultation that I walked up to the windows and pulled back the curtains in a home and the client says “Ohhhh..” The light that fills the room immediately makes such a great change and feel in the room. Best of all, it is free! By removing your curtains, the room will instantly be lighter and brighter which will make the room appear larger. Which home do you think a potential home buyer will fall in love with? A dark, deary home or a brightly lit space? The sunshine will win every time. So take down those curtains and let the beautiful outdoors shine through! Not only will potential buyers be impressed, but you might love the look yourself! If you need decorating advice in your home, contact me today. Yay Beth! Beth wrote, “Mulled Cider sounds wonderful!” I am glad you will be able to actually smell the scent of the cider Beth. I will contact you by email to get your address information. And thank you Goose Creek!! Thank you to all that shared their favorite scent with us. Remember Goose Creek Candle Company is also offering an exclusive coupon code to my readers to get 25% off of your purchase. Enter 082212 when you check out and you’ll receive 25% off your entire order! Offer will expire September 30, 2012. You all know how I love to try new products to share with you. So you can imagine my delight to be asked to sample a candle product from Goose Creek Candle Company. Yay! I love candles! I was offered to try any one of their 45 delicious scents to choose from. I chose Spice Cake which is one of their Autumn Collection scents. Spice Cake is described as the home baked goodness of a delicious spice cake with warm kitchen spices, baked apples, pecans, brown and vanilla sugar and a touch of chocolate caramel. YUM!! Goose Creek Candles are made in the USA and are the cleanest burning candles on the market. I really needed a scented candle right now to get rid of the stale air from using the air conditioner all summer. I don’t know if we have ever run the A/C so much in a summer. Thank goodness we had it- it was a very hot summer! The Victorian Style jar is part of the American Heirloom Collection. Here is the link for the Victorian Collection here. One of my favorite things I like about the candle is that the scent is very nice without being overpowering like some candles can be. These glass multi-size pillar bases made of glass are reversible so you can use it with more then one size pillar candle! Genius and only $5.00! I already plan to use them not only to hold candles but also use as small pedestals for my display groupings. Visit Goose Creek Candle Company then come back here and leave a comment letting me know which candle/scent you would love to win. Contest ends at midnight Sunday, August 26, 2012 at midnight EST.The winner will be randomly chosen and announced on Monday, August 27. They are also offering an exclusive coupon code to my readers to get 25% off of your purchase. Enter 082212 when you check out and you’ll receive 25% off your entire order! Offer will expire September 30, 2012. Which scented candle will you choose? This past weekend, we celebrated my daughter Meghan’s bridal shower. She is getting married November 10, 2012 and time is speeding up so fast! She reads my blog (!) so I wanted to wait after the shower to share. That’s my baby girl Meg! Notice everything is purple. Her best friend and fiancé both suggested that I tell her about the shower a couple of days before so that she could be ‘ready’. 🙂 We had it at a beautiful wine vineyard nearby. Liz is her best friend since second grade and maid of honor. Meg received such great gifts and had a fun time opening! I just wanted to share with you my online friends! I can’t believe my little girl is getting married. Anyone else going through the wedding process right now? If you need help decorating you home, contact me today! You do not hear the word ‘credenza’ used often anymore. 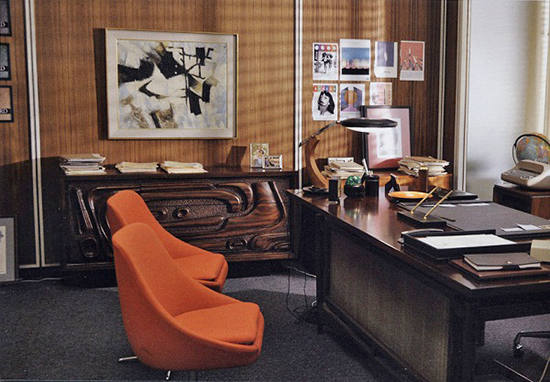 What is the definition of a credenza? The common description of a credenza is a long, flat topped storage unit that has been in existence since the 19th century. 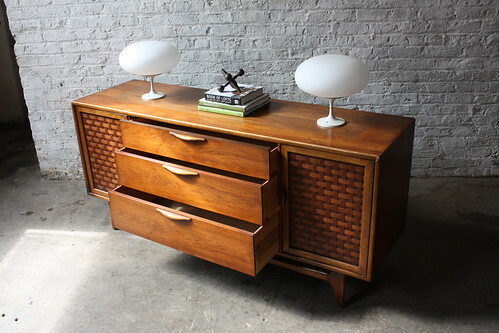 These are the credenza pieces I love! Such personality! Do you like them? 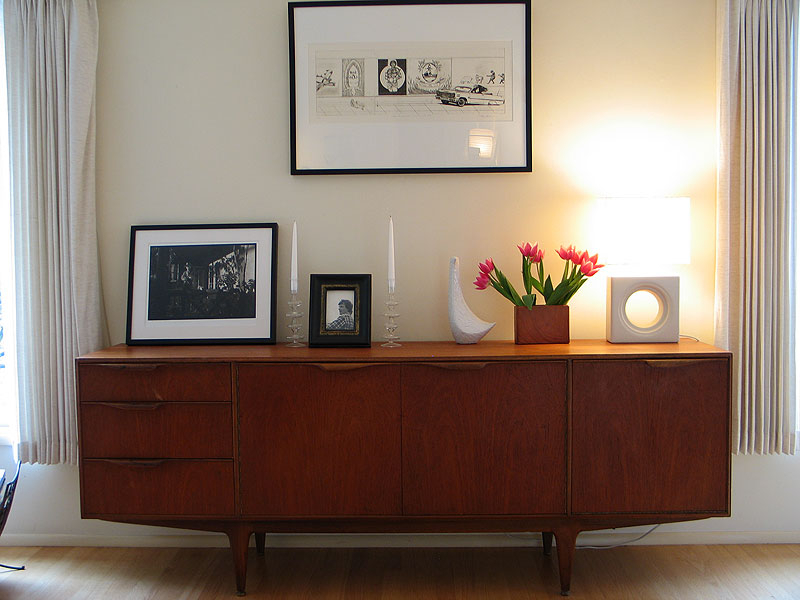 Do you have an ‘older’ version of a credenza? I think they would look great in any style room. Great for storage and another tabletop to style. Fabulous! If you need finding the perfect piece for your home, contact me today.